I’m obviously pretty biased, but if you’re running your own business and not harnessing the power of working with bloggers then you’re missing a seriously big trick! With thousands (or for some of us hundreds of thousands) of loyal monthly readers, getting your product or service in front of all those eager eyeballs has got to be a no-brainer. But bloggers are overrun with submissions so just how do you go about getting them to not only notice your pitch but actually want to write about you too? The “Dear Blogger” email is probably the bane of every blogger’s life. Not addressing someone by name when you email them is not only lazy, it’s darn right rude. Why would someone then want to go on to promote or help you if you can’t even be bothered to find out their name or personalise your email? It’s pretty easy to decipher what a working relationship might be like with a brand through that very first email. When you write to a blogger without using their name (or using someone else’s name – whoops!) what you’re really saying is “I want to work with a blogger… any blogger… I actually don’t really care who they are or what they do, I just want to get featured on some blogs”. First impressions are of the utmost importance, and if you’re sending out these kinds of emails, it will just appear that your strategy is nothing more than ‘spray and pray’… spray everyone you can and pray that someone is bored enough to want to write about you. It’s important to get to know the bloggers before you contact them. Follow their blogs, read what they publish and interact with them on social media. Reply to their tweets and leave (non spammy) comments on their blog. Get to know them and try and get them to know you. That way, when it comes to pitching something to them you’re not just hitting them with a cold call, they might recognise your name or feel like they already know who you are. If they do they’re much less likely to just delete your email. Similarly, if you’re actually reading and engaging with their blogs before you contact them, you can make your pitch much more personal and effective. Keep an eye on what they like, what they don’t like and the kind of things they’re already writing about. It would be a pretty embarrassing to pitch an idea to someone who’d just written about the very same thing last week wouldn’t it?! It’s also vital that you’re pitching ideas that suit each blogger’s niche. 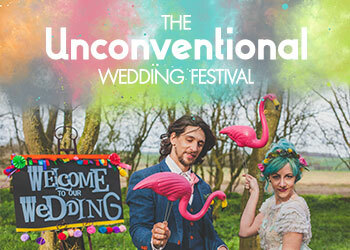 There’s absolutely no point sending someone that loves alternative weddings and innovative ideas a pitch about your new line of off-white chair covers for example. What?! You mean bloggers don’t just survive on freebies and the promise of ‘exposure’? I know, right, crazy – bloggers actually expect to earn money from doing their job, who would have thunk it?! This seems to be a sticking point for a lot of brands and the amount of compensation many of them offer bloggers is laughable and often borderline offensive. Each blogger will have their own set of rules as to when a post or collaboration is paid for or not, but don’t start the proceedings by assuming that they’re going to want to write about you for free… or for a voucher… or a free gift. Some will, but most of the bigger and more established bloggers will not. You’ll be getting something out of an association with them so it’s only right and fair that they get something for their time and the exposure they can provide your brand too. A lot of brands or businesses will instinctively go for the bigger, higher trafficked blogs for their promotional efforts, but don’t disregard the smaller ones. In many cases it’s actually much more beneficial to have a really targeted and engaged audience (who are more likely to be invested in what the blogger actually has to say) rather than always going for the one with the most impressive numbers. Also, let’s not forget that the smaller blogs will also be a lot cheaper to advertise on and will probably be more willing to throw extra promotion your way. I will always remember and be hugely grateful to those companies who took a chance on me when I first started out – the photographers who sent me submissions, the brands who wanted to work with me – and as a result I’ll always be pretty loyal to them now in return. While the bigger blogs are overrun with content submissions, the smaller ones will be much more excited to receive yours and therefore be much more likely to feature you. If you’re working on a seasonal campaign, don’t email a blogger right at the last minute and expect them to be able to squeeze you in! Most bloggers work with an editorial calender and have limited spaces for sponsored content. Mine get booked up at least a month in advance and for my non-paid for content I have a 2-6 week waiting time (depending on the time of year and how many submissions I’m getting) between receiving everything I need for a post and actually blogging it. If you have a very seasonal wedding or an event you want them to attend or promote, don’t submit it and expect it to go up the next day! I actually once had someone email me a Halloween themed shoot the morning of Halloween… it was great but I had to say no to it because I had my content planned and scheduled already! It sounds so obvious to me, but so many companies send bloggers the same old boring, re-hashed ideas and pitches. This just won’t fly! Bloggers a trend-setters, style-spotters and want to be seen to be sharing the next big thing. If you’re still sending wedding bloggers styled shoots with bunting, hay bales and mis-matched vintage crockery and wondering why they’re never getting picked up, this is probably why. Come up with something new for once! Have a think about what might entice a blog reader to convert to a customer. What do they already enjoy about the blog? What kinds of posts get the most reader engagement? You need to have an end goal in mind when it comes to working with a blogger so you can properly determine if the collaboration has been worthwhile. Similarly, it will enable you to voice this beforehand so you can work together to try and make this happen. A wishy-washy “yeah maybe I want to get some enquires” is not going to cut it. Be really specific and then come up with some ideas as to how you can make it a reality. Don’t be afraid to suggest ideas or things that you think might work. A unique campaign will always go down a lot better with the readers and be much more exciting to work on for the blogger. Also listen to their ideas. The best bloggers know their readers back to front, they know what’s worked in the past and what hasn’t and they’ll likely be able to suggest ideas or angles that you’ve never thought of. It’s time to kick off those shoes and relax a little. Bloggers are generally very laid back and most of us are running this thing, on our own, from our bedroom or home office (here’s mine, oh isn’t it glamorous!?) Working with bloggers should be fun, so loosen up a bit. Some of my favourite clients to work with are those that speak to me like a human being and so we talk like we’re old friends rather than trying to be all stuffy or hyper-professional. Of course don’t be over-familiar with your first email but keep things light, peppy and, most of all, fun. Ditch the generic press release and always keep it real. It’s funny because as I was working on this post I saw a link to this article by Ash of The Middle Finger Project about how NOT to pitch to bloggers. I actually chuckled the whole way true because, oh lordy, she hit so many nails on the head. Before you even think about contacting bloggers to promote you, do yourself a favour and read it! As well as great stories and offers for their readers, bloggers always want great imagery to accompany their posts. Invest some time in making sure your ideas are presented in the best way. The most exciting campaign idea ever will probably fall flat on it’s face if the images used alongside it are dated, badly composed or just plain ugly. Online, people’s attention spans are short and a really strong image will always catch a blogger’s (and in turn their reader’s) attention before anything you have to say. In a similar vein, make sure your email pitch looks good. Double and triple check for spelling and grammar errors and don’t embed high res images that will take forever to download. I also personally don’t like those image-heavy, template style emails as, to me, they always looks like a genetic newsletter or spam. Some of the best blogger campaigns are not ones that are just one post, or one tweet, or one month of banner advertising. They are an ongoing drive that builds and gets into the reader’s psyche so they then want to buy. Instead of just looking for a quick fix, think about working on an ongoing relationship. Maybe you do a banner advert for a few months, then a sponsored post or giveaway. A few weeks later you could throw in some social media love and then wrap it all up with a post about how the collaboration worked out. If you’re in the wedding industry make sure you’re always submitting relevant weddings or styled shoots using your products. Clients that I regularly work with are always going to be my favourites because they’re loyal and a I ‘get’ what they’re about. It’s easier for me to come up with fun concepts because I know their company inside out and I know what kind of reaction they get from my readers. So here’s the cliff notes: If you want to work with bloggers think about a campaign idea that will engage their readers, excite them and ultimately get your product or service in front of as many pairs of eyes as possible. Come up with a new idea and pitch it beautifully. Ditch the generic press release and be personable but professional. A spray and pray email or an unoriginal styled shoot idea is never going to cut it and, ultimately, always keep it real! Fantastic advice Kat! We will defiantly look into all of these points! Thanks Kat! I’m inspired to reach out to some people now! Pretty images by Pauala too. Very good and well worth the read! Thank youuuuuu! I’m very new to all of this and although I’ve been a (part-time) photographer for while, I’m only just throwing myself into wedding photography. Finding it all a bit overwhelming, with all the social media etc and getting to grips with blogging but loving all the collaboration! This is when the creativity really starts flowing. Anyway, took your advice and decided to comment 😉 I’m a long way off from bloggers wanting to work with me but now know how to get there! I’d love to email this post to half the PR people that email me, excellent! I think you are so right about the brands that get involved when you first start out, I’ll always remember the ones that worked with me to begin with. I am also finding that I’d like to work on more unique collaborations, I don’t want to just be posting the same stuff as other bloggers with similar blogs to mine. Love Ash’s site as well, so much good stuff there! Wow! What a great surprise Kat! 🙂 Thanks for this post, so inspiring!! Thanks for submitting the photos Paula! Thank you for all the insight. This is very helpful! What a helpful post! I am a newbie in the blogging world so I really appreciate any tips and tricks i find! This was a great read Kat, thanks. 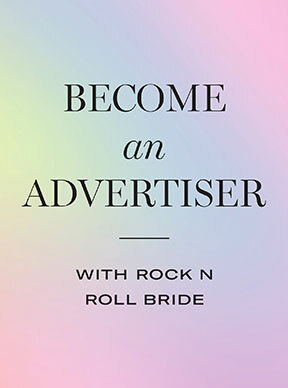 Even though I don’t want to advertise and instead would love to attract advertisers, it gives so much insight into blogger/advertiser relationships and gave me some pointers on what I should look for in potential advertisers. Even if its still a long way off, I have a feeling this article will lead to an “aha!” moment further down the track. Great post! I have to admit that I cringe just a smidgen because I have made a few of those mistakes I am sure. I especially love #6. It’s tough to stay cutting edge but a complete necessity in this business. Does anyone have tips about where or how they stay ahead of the “next big thing” curve? This rules. Super awesome post. Great post Kat, great photos too! Great post Kat and I enjoyed the http://www.themiddlefingerproject.org/caution-do-not-pitch-yourself-like-this-ever/ one as well. I get the same with new planners wanting to work with me. They don’t use my name, know nothing about the style wedding I do, their emails are full of typos and not a capital letter in sight! Oh and frequently they live miles away from me as all! Am loving the Green Room, have been so busy with events I haven’t been on for a while but some fantastic business articles that I’m going to share with other planners. This was a fascinating piece to find and read. I googled “what bloggers want”. It was soooo informative and helpful, all new brands like mine should read it. Can I ask one question though? if you have a concept/service/product, and bloggers are contacting you requesting to work with you as a brand partner on it how should the brand go about working with 2 or 3 bloggers in the same field? Would it be acceptable to offer one an exclusive promotion, and another a giveaway or would you advise setting up a relationship with a prefereed partner? Thanks for reading this Kat. Hey Carol I think this sounds like a great idea! Bloggers love an exclusive deal and their readers will appreciate it much more if they dont see the same concept on all the different blogs. hopefully the bloggers you work with can help you come up with a unique and engaging concept that their specific readers will particularly love too! Good luck! Great post! I think that’s an excellent point about not always going with the most well known blogs. I know when I first started submitting to wedding blogs, I’d get frustrated because it felt like I’d get no traction at all. I found going to slightly smaller blogs and developing relationships with those bloggers was much more rewarding in the end. Another great Green Room post. Thank you! All great tips but Nos. 8,9 & 10 struck a particular cord and Paula….love the photography! It always amazes me that people approach with generic emails without taking the trouble to find out more about who they’re contacting, name, style of work, any special interests, etc. I recently launched my new ecommerce store. Currently, I’m implementing social media channels, FB ads and newsletters to promote my store. I am also looking to work with bloggers as an additional marketing strategy and this article opened my eyes. One thing that concerns me though is the cost of working with them. All my products are 100% wheel thrown, handcrafted and hand-painted ceramic wares and arts directly sourced from Korea. They are all limited edition and the costs I paid to the artists are very high. I don’t have enough inventories on hand. Shipping rates are high due to the heavy/breakable nature of ceramics. So… I’m not quite sure how many products I can/should offer to bloggers who are willing to write about my store. Do they always want products from companies? I’ve had some sizable brands come forward trying to get me to cover their product for free, and when I’ve explained we charge for that kind of coverage, they often try to get me to believe that’s “against Google policy”. It’s a load of bs. It’s against Google policy to be paid to cover content that’s NOT RELEVANT. I run a music blog and often these companies are stereo manufacturers, or ticket retailers. Totally relevant. Yep, its against google policy to pay for unnatural follow links (aka to try and game the system and ‘buy’ seo success, but not to pay for genuine reviews or work on collaborations with bloggers! Great post! What about new bloggers that dont have a following yet? I would like to have more traffic on my blog but I feel like it would be too soon to reach out to collaborate. Thoughts?? 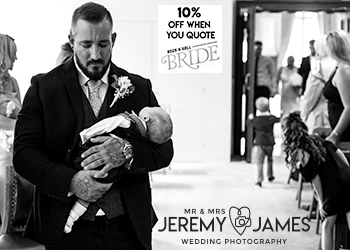 I am a Man, and i love your blog, i shoot a few weddings in the summer and your posts are very inspiring! nice work! Thank you so much for presenting the side of the blogger. Ps Can’t wait to see my sponsored post on Sunday! Dear blogger, can you do a blog for me completely free of charge, I promise to repay you back once my miss matched crockery takes over the globe and its a great chance for you to get involved at ground zero, don’t miss out! Thanks Kat, for this amazing advice. I design beautiful custom veils, and I want to approach bloggers in a respectful, professional way; your post is very important and helpful to me.